The clue is in the name. 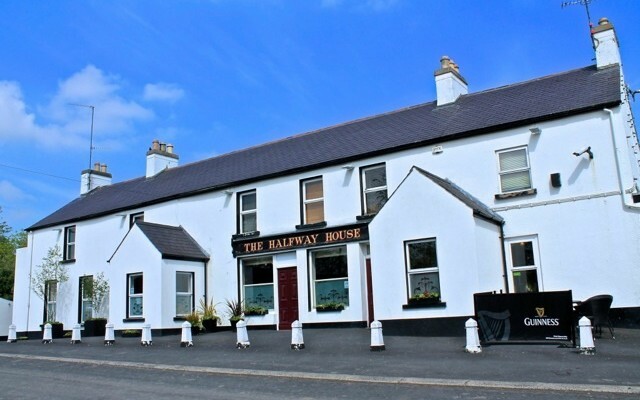 The Halfway House is halfway between Belfast and Newry. It’s a very welcome stop-off point on the A1 which is easily visible and accessible from the main road, but it’s also uber-popular with locals. They go for the food sourced from Carnbrooke Meats, Quail’s Fine Foods, Carnreagh Cottage Farm, Glastry Farm Ice Cream and Kettyle Meats. Such fine ingredients are given the care and attention they deserve. The menu is exciting, but there are also plenty of traditional favourites in there as well as an excellent drinks selection. Last time we were there we had Three Little Piggies of Crisp Rare Bread Pork Belly, Kettyle Cured Pork Medallions & Quails Award-Winning Sausages, Pont Neuf Potatoes, Crisp Greens, Soft Hen’s Egg with Button Mushroom & Dijon Cream. Next time, we’re having the Flat Iron Steak and Rhubarb and Custard Eton Mess. The menu may have been seasonally updated, but you get the idea of just how good their food is. No wonder so many people are getting married there these days.